With the European Elections approaching, as part of FleishmanHillard’s Year of Change initiative, we are launching a series of interviews with some Members of the European Parliament to get first-hand analyses of some of the Institution’s key achievements from the past five years and a view on the future of the European Union. Barbara Mariani, Vice-President in the Energy & Transport Team and Malik Duhaut, Account Manager in the Environment & Food Team together with the Brussels team have interviewed influential MEPs from across the political spectrum who have played a major role in shaping the EU legislation. In the interviews, MEPs talk about the role of the European Parliament today and how they see the future. They highlight landmark legislation which has been approved or is still being discussed. The legislation is ranging from sustainable finance to environmental policy and the digital agenda. They also share their views on wider politics, Brexit, the upcoming EU elections and national elections taking place in a few Member States during 2019. The Parliament in 2019 will look different. 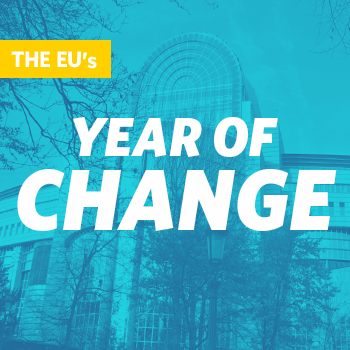 With 27 Member States represented and traditional coalitions shook up by new political parties emerging in a number of Member States, Brussels is wondering how these changes influence the priorities of the next five years term. Our first MEP interview was with Finnish member of the European People’s Party (EPP), Ms Sirpa Pietikäinen. Ms Pietikäinen is former Finnish Minister of Environment (1991-1995). Her career at the Finnish parliament is extensive, ranging from the year 1983 to 2003. She first came to the European Parliament in 2008 and is currently a member of the Economic and Monetary Affairs Committee (ECON). Stay tuned to and keep an eye on our upcoming Hemicycle Views.